Taken on the Isle of Staffa, Scotland. 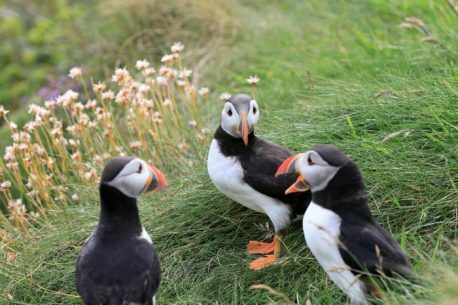 The Spring brings with it baby Puffins. They pop up out the their grass covered burrows along the edge of a cliff. They welcome tourists who scare away their predators. How could this be anything other than a lesson? Such endearing birds!